Southwest Rapid Rewards Premier Credit Card Review: Wanna Get Away? Who Does the Southwest Rapid Rewards Premier Appeal to Most? Decision Time: Is the Southwest Rapid Rewards Premier Card for You? People who travel frequently can really benefit from having a good travel credit card in their wallets. If you have been looking into the different travel credit card options, then you will know that there are several good cards to choose from. Some travel rewards credit cards will offer you lucrative bonus point opportunities. Other cards may be more beneficial for the amazing perks that they offer. It is important to take the time to weigh the positives and negatives of any given credit card before signing up. You need to be able to find a travel rewards credit card that will offer you benefits that work well for your specific situation. Many people find that airlines credit cards are the best route to go because they can help to mitigate the cost of flights. That is why we will be taking a look at the Southwest Rapid Rewards Premier Credit Card today. This card is going to give you the opportunity to earn rewards at a pretty decent rate. If you have been flying with Southwest Airlines frequently, then having this card in your wallet may be quite beneficial. Join us as we take a deep look at this credit card to determine whether or not it is worth your time. You will be able to use the information to come to your own decision once you have looked at this card from every angle. You'll earn 40,000 points after spending $1000 in the first 3 months. You'll earn points on Southwest purchases and Rapid Rewards hotel and car rentals. Earn 6000 points on your cardmember anniversary. All points from credit card count toward Companion Pass. Southwest points are great because when they have a sale, their award chart goes on sale as well. By getting a personal and business Southwest card you can be well on your way to Companion Pass status. A potential negative about this credit card is that it comes with a fairly high annual fee. This fee is not as high as some of the luxury travel credit cards, but it is still fairly substantial. You will have to pay a $99.00 annual fee to make use of this card. If annual fees are something that you are averse to, then you might want to think twice about this credit card. On a positive note, this card does not force you to pay any type of foreign transaction fees. If you regularly fly out of the country on business, then this is going to be a very good thing. Many credit cards force users to pay three percent foreign transaction fees on each purchase, but you can avoid that with this card. It is a very friendly credit card to make use of when you have to go outside of the country on a regular basis. This card does not have access to any type of an introductory APR period either. You will be receiving a fairly standard APR on this card that should not negatively impact your experience. It really is a card that is fairly good when it comes to interest when compared to other similar airline credit cards. This is not the lowest option out there and it is basically in the middle of the pack. Most of the important features of this credit card are related to the rewards program that we will discuss in detail later on. This is a card that will allow you to earn rewards at a decent clip and it works well for anyone who regularly flies with Southwest Airlines. It is a good card that has plenty of features that will keep you safe. You can expect all of the standard security features and a robust customer service program for whenever you need to get help. The card also comes with a very worthwhile and obtainable sign-up bonus. A good sign-up bonus is something that can make it easier for you to justify signing up for a card. Some similar travel credit cards will have sign-up bonuses that are a bit more difficult to actually obtain, but this one is quite reasonable. For spending a fair amount of money in the first three months, you will receive many points that you can redeem as rewards. The benefits of this credit card are where things will start to become a little bit more interesting. You can expect some pretty helpful ongoing benefits to make signing up for this card seem like a good idea. One of the most helpful benefits that you should take note of is the anniversary bonus. You will be receiving 6,000 points upon every anniversary of your credit card. If you use these points properly, then they can mostly offset the $99.00 annual fee. Six thousand points will have a value of around $90.00 so you will be able to more easily justify signing up for the card if the annual fee is something that bothers you. Redeeming your points will always be simple so this little bonus can be used toward any of your travel needs. It will be good to be able to rely on this bonus every single year and it is certainly one of the best perks of membership with this card. Making use of this card regularly can also put you on the path to earning your companion pass or A-list status with Southwest Airlines. This can be really helpful when you are trying to earn these specific loyalty benefits. The companion pass will let one person fly with you for free whenever you redeem your points to pay for a trip. You will just have to pay the taxes and fees for the seat and this will certainly be great. Being able to earn this loyalty status faster can potentially save you a lot of money. 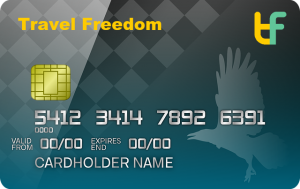 Aside from this, you should know that this credit card lacks many of the usual travel perks that you may expect. Premium benefits could have helped this card to truly stand out from the competition. You will not be receiving any special benefits such as access to airport lounges or reimbursement for the Global Entry or TSA PreCheck application fees. If you would prefer a card that has more luxury perks, then you will need to seek out another option. You will be able to use this credit card to earn rewards at a very good rate. You can use your credit card to earn 2X miles on all of your Southwest Airlines purchases. All of the other purchases that you make will allow you to earn 1X miles. This will make it so that you can earn points fast if you travel regularly enough. It will be best to use this credit card to buy airfare through Southwest Airlines to maximize your rewards potential. Even so, it is good to be able to continue to earn rewards with your other purchases. This does not stand out from many of the other travel credit cards that are associated with airlines. It is a fairly standard rate of earning rewards, but it will be a perfect card for people who fly through Southwest Airlines regularly. You should know that the points that you earn with this credit card cannot be transferred anywhere. There are no partner cards or loyalty programs that will take your points from this card. This can make redeeming your points a bit less flexible than some other options. If you like having many options available to you when redeeming rewards, then this may wind up disappointing you. Luckily, redeeming your rewards through Southwest Airlines is always a very streamlined process. You will always be able to redeem your earned rewards towards purchasing flights through Southwest Airlines. No matter what, this will be a very convenient process and you will either be able to pay for entire flights using rewards points or you can simply lower the cost. It is easy to use your rewards in this way so you should never hesitate to redeem them when you are traveling. It is possible to redeem points for things other than flights, too. You will be able to use your earned rewards points to get gift cards, car rentals, hotel visits, merchandise, and much more. It is good to have the option to do this, but your points will likely stretch further when you use them to book flights. 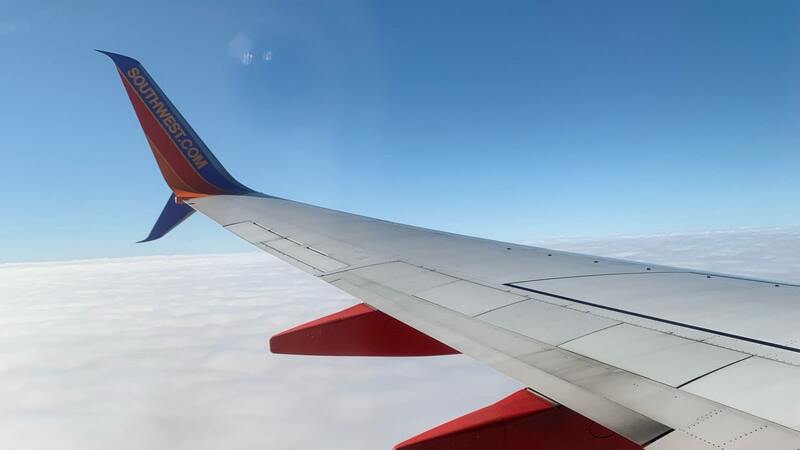 If you are worried about maximizing the value of your earned rewards, then it is always going to be best to use your rewards to go toward Southwest flights. This credit card is definitely going to be a perfect fit for you if you fly using Southwest Airlines often. You will be able to earn a lot of rewards miles by simply using the credit card normally. You can even work toward earning your companion pass or A-list status much easier when you have this card. It is a sensible option for anyone who chooses to fly with Southwest Airlines. Another positive that will make your time as a cardholder better is the annual bonus points that you will receive. Being gifted 6,000 points upon every anniversary is going to prove to be very helpful. You will be able to use these free points to help offset the cost of that annual fee. This will always be there for you to rely on and it goes a long way toward justifying signing up for this card. The simple and lucrative reward structure is very nice, too. You will be able to earn 2X miles on all of your Southwest Airlines purchases. Purchasing other things with the credit card will still net you 1X miles so you can keep on earning those rewards. Those who fly often will definitely have greater earning potential, but it can still be somewhat practical for less frequent flyers. It is very easy to redeem your points for rewards when using this card as well. You will be able to redeem your earned rewards to buy flights on Southwest Airlines. You can also choose to redeem rewards for gift cards, hotels, car rentals, and merchandise instead if you would like. Redeeming your rewards for flights is always going to be the most lucrative option, so you will likely wish to stick with that. The rewards points that you earn with this credit card will not be able to be transferred anywhere else. Other credit cards will, sometimes, offer you the opportunity to transfer points to a hotel loyalty program or some other type of partner business. There will not be any such options when you are using this credit card. If you like to have more flexibility with your redemption options, then this card may not be the best fit for you. A lack of luxury benefits also hurts this card somewhat. Many travel credit cards offer very good perks such as access to premium airport lounges and special VIP travel benefits. This card does not offer you any of those substantial perks so you may feel like it does not have as much value. It is still a good card for those who want to mitigate the cost of air travel, but it may not be as beneficial as certain travel credit cards. The annual fee is going to be a bit of a nuisance to some people, too. You will have to pay that $99.00 fee every single year and that will be something that deters some people from bothering to sign up. The annual bonus points that you get, go a long way toward validating the fee, though. Most good travel credit cards do come with annual fees attached to them so this is not an unusually high fee or anything. Some travel rewards credit cards will offer a higher rewards rate than this card. You will find that some credit cards on the market will have higher rewards potential than this card. Even so, this can be very lucrative for those who fly through Southwest Airlines all the time. 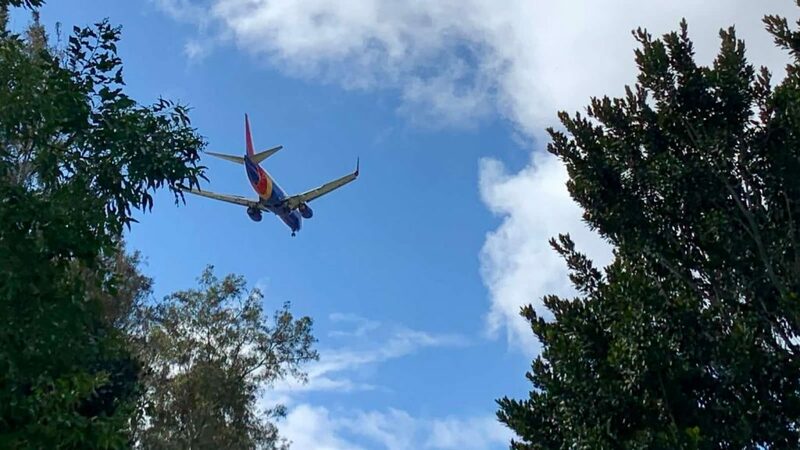 It just comes down to how often you fly and whether you are always loyal to Southwest Airlines or not. It really does pay to stick with one airline, so you should probably try to fly exclusively through one airline from now on. Sadly, you will need a very high credit score to even be approved for this credit card. You will have to possess excellent credit to give this one a spot in your wallet. A score of 730 or above should give you the best chance of being approved. Other factors, such as income, will also play a role, so just be sure to know what your credit score is ahead of applying for this card. This credit card is going to mostly appeal to people who regularly travel with Southwest Airlines. If you use this airline exclusively, then this is a credit card that makes sense for you. You will be able to earn 2X miles on all of your flights and purchases, making it possible to reap rewards pretty fast. Anyone who is loyal to this airline will want to give this credit card a look. People who travel all of the time will also be interested in what this credit card has to offer. If you travel a lot on business or for personal reasons, then it makes a lot of sense to have a travel credit card. Being able to earn rewards for your flights can help you to keep your costs down. You can redeem rewards toward travel expenses and you will always be able to make use of your points when you are ready. Anyone who doesn’t travel very often is not going to like this card as much. It will have some potential for infrequent flyers, but it will not be anywhere near as lucrative. This is a credit card that is mostly for people who fly multiple times in a month. It has some uses outside of that, but it will work best for very regular travelers. 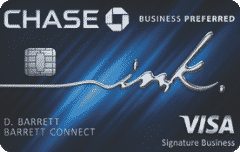 One of the best alternatives that you can consider is the Chase Sapphire Preferred Credit Card. This is a card that comes with a $95.00 annual fee attached to it. It has some of the best rewards potential for any credit card of this tier. You will be able to enjoy several great benefits if you become a cardholder and will always be able to earn points at a high rate. 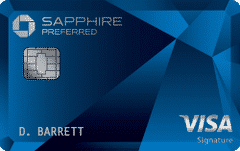 See our full review of the Chase Sapphire Preferred. Most people will note that this card has way better bonus categories than the Southwest Rapid Rewards Premier Credit Card. You will be able to earn 2X points on dining and travel purchases. It will not restrict you to only flying with one airline either. If you like having more choices, then signing up for the Chase Sapphire Preferred Credit Card may be the right way to go. If you are able to take advantage of the Southwest Rapid Rewards Premier Credit Card properly, then it can be a good addition to your wallet. This is going to give you the potential to earn many points when you fly through Southwest Airlines. Redeeming points for flights is simple and you can use the card to lessen your travel costs. It is a card that is going to work very well for some people and that will not be as appealing to others. Take the time to think about how often you will fly with Southwest Airlines. If you think that you will be doing so a lot, then it makes good sense to apply for this credit card. Being able to get on the fast track toward earning the companion pass and A-list status is really helpful, too. Take all of the factors into account so that you can determine whether or not this is the right move for you. 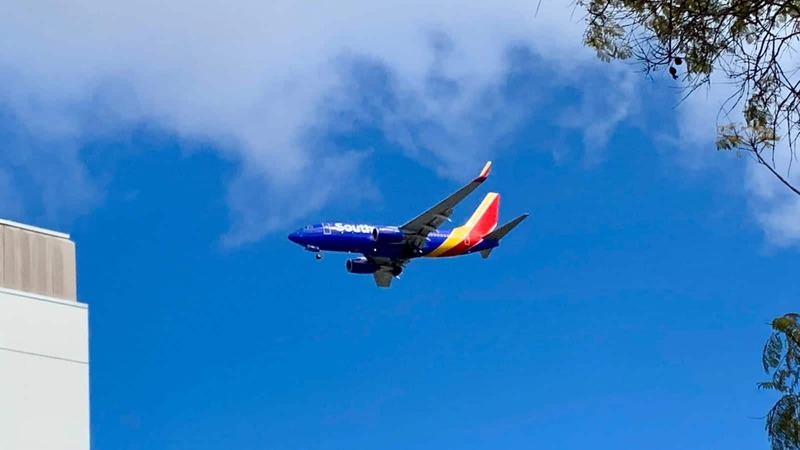 Southwest Rapid Rewards Plus Credit Card Review: Wanna Get Away?